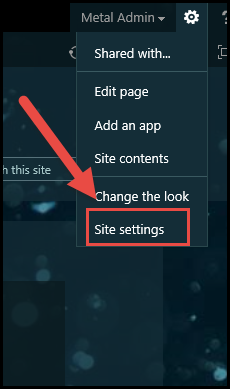 1) Go to Site Settings under the gear icon in your SharePoint blog page. 2) Go to site permissions under Users and Permissions within the site settings page. 4) A box will pop up, where in you have to do the following: If you wish to give access to Entire Web site, check the Entire website box. If you wish to give access to only a particular section of your blog, then choose Lists and libraries. If you don’t wish to give access, check Nothing. Click OK.
Once this is done, your site will be Public or Private as per the option you chose.